In the olden days, where getting the exposure of your photos right was much harder thanks to the fact that you didn’t get to see the result until your prints came back from the lab, people would sometimes rely on a separate incident light meter, which would measure the light falling on the subject, and not the light reflected by it. It’s called Luxi, and it is pretty much an “incidence cone” which fits over the iPhone’s camera, plus a companion app to do the calculations. Why? Because in tricky lighting situations, incidence metering is still more reliable. Your camera takes a look at the scene in front of it and measures the reflected light. It then uses its computer brain, pre-loaded with algorithms that tell it what sky might look like, or when it’s looking at a black cat in a coal cellar, to guess what parts are important. Cameras have gotten amazingly good at this in recent years. The problem is that if the scene is mostly black (or white) the camera can be fooled. Say you have a single bulb lighting a scene. It shines the same amount of light onto a black object as a white one. Imagine, then, that the camera sees a gray object which fills the frame. It can’t know if it is indeed gray, or if it’s black but lit by a very bright light, or if it’s a white object in near darkness. So it guesses. And the right guess is the difference between the camera reproducing what your eyes see, or – to take the classic example – making a bright field of snow a muddy gray. If you measure the light falling in the scene, however, the camera will be dead-on every time. The Luxi helps you to do this. Put the diffuser dome over the camera, hold it in front of the subject and point it back at your camera. Take a reading, and transfer that reading to your camera. To be honest, it’s probably easier just to put your SLR on auto and twiddle the exposure-compensation dial until you see something you like on the rear screen, but for consistency the external meter can’t be beat. How much would you pay for a light meter? 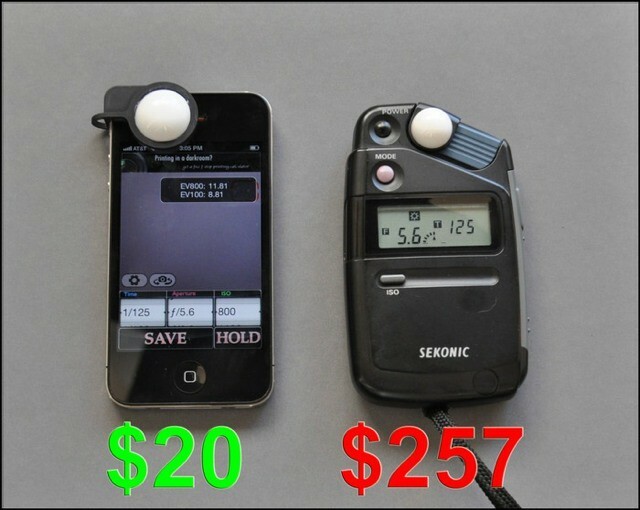 The Sekonic used on the Kickstarter page for comparison (and coincidentally the exact model I used to own up until its batteries leaked and killed it) will cost you over $250. 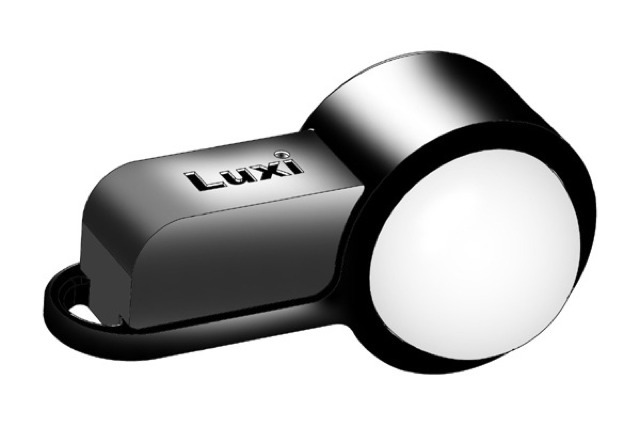 The Luxi is a mere $20, and its companion app is free (or you can grab one of the many light-metering apps in the store).